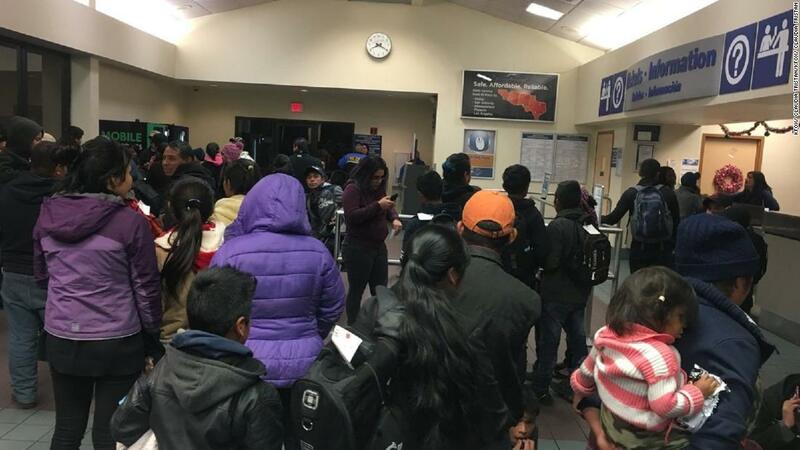 The police were informed about the crowd for the first time at about 8 pm officials at the bus station who said individuals were trying to get on the bus without tickets. "Suddenly a group of people appear and ICE drops them," said Greyhound spokeswoman Crystal Booker. "We did not expect it, we do not receive any advance notice." The waiting area at the bus station is small, Gomez said, and many people stood outside in the cold. He said that among the group of 211 undocumented immigrants were some families and small children. Four buses arrived later so people could get in and stay warm. "We did not want to put 200 people on the street El Paso on a cold night, we would not do that," said Gomez. The authorities have found accommodation for migrants, including a hotel and a nearby Catholic school, Gomez said. ICE said in an e-mailed statement to CNN that after decades of congressional inaction, the government is able to remove families illegally residing in the United States. "To reduce the risk of keeping family units beyond the government-mandated timeframe, ICE has curtailed the review of post-persecution plans of families detained along the southwestern border," the statement said Sunday night related incident in El Paso, read. "ICE continues to work with local and state officials and NGO partners in the region to be ready to provide transportation or other services."